The meeting will take place in the Theatre. You can enter the theatre through the school or the main entrance on the corner of 76th and Milwaukee Ave.
Jazz II and III Sign-ups are going up this week! Please consider joining. If you are unsure as to which ensemble to sign-up for see Mrs. Lato. Jazz II and III will start on Tuesday, October 17th at 7:00am and rehearse on Tuesdays and Thursdays at 7:00am. Our annual Pocket Peeler sale is going on now. As the creators of Pocket Peelers are Tosa East alumni they give us a great profit margin. Pocket Peelers sell for $10 each, you get $6 for every pocketpeeler you sell! This is the highest profit margin fundraiser we do all year! Plus if you sell 10 you get one Pocket Peeler for free that you can turn around and sell for the full profit of $10 or keep for your family. Selling 10 pocket peelers alone would put $70 in your account. Parents, encourage your students to bring home forms and sell. Forms are located in the music hallway until the sale ends on September 29th. The money fundraised goes directly to your student to be used for any of the items listed below. This is NOT a Band Booster fundraiser this is an individual student fundraiser. 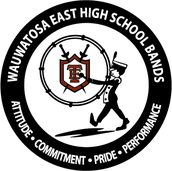 We are always looking for student volunteers from Freshmen Band to attend any of our performances to help with equipment. This is a great opportunity for students to see what Band will be like once they are Sophomores as well as earn points towards their *Varsity Band Letter. -*Varsity Band Letters are earned by accumulating points. 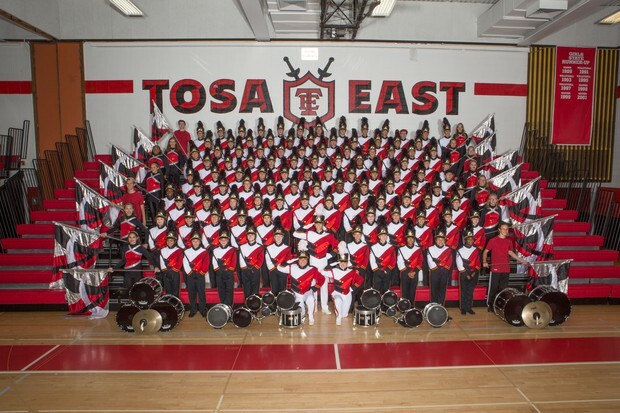 Students receive points for every performance they attend as well as points for volunteering to help the band. Each performance is 50 points, and each additional volunteer opportunity is 25. Students also eared points if they were in attendance for Freshmen Band Camp and if they participate in Jazz II or III. More information regarding Band Points will be shared with students at a later time. October 31st, 2017 Elementary School "Pumpkin Parade"
November 18th, 2017 Milwaukee Holiday Parade.